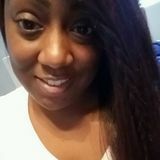 Want to connect with Cyntoya? I am 31 years old. I've been in child care for 10yrs. 8 as a nanny and 2 as a daycare teacher. I have experience with multiples, potty training, sick care, overnights, homework help and care for children 1wk to 14yrs old. I have babysat for multiple families but have been a nanny to 2 families. I am fun, energetic, creative and I love the outdoors. I am Tawana I've been in childcare for 24 years I've worked with ages 3weeks to 18 years old. I love children.